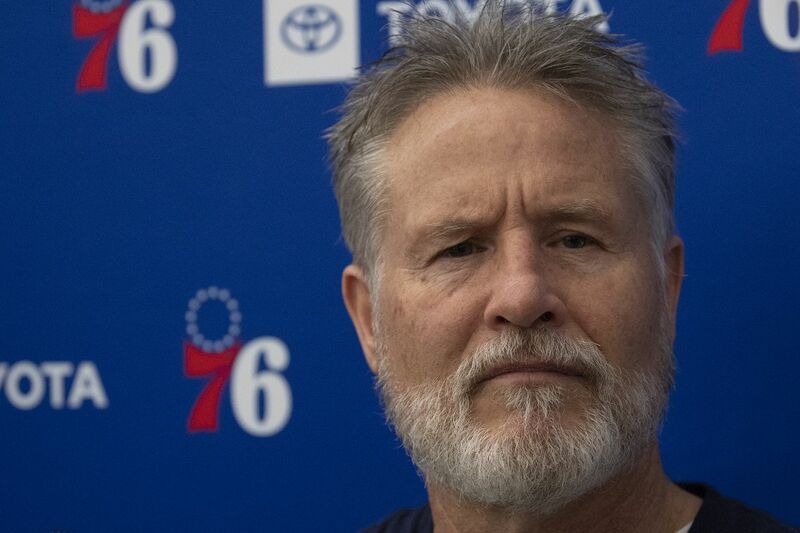 Brett Brown and the Sixers have an open roster spot. NEW YORK – The 76ers will work out former NBA veterans Jodie Meeks, Corey Brewer, and Brandon Rush, along with Jamel Artis of the Agua Caliente Clippers of the NBA G-League, on Monday. Rush also worked out for the Sixers in December. The team has one roster spot available. Meeks was waived by the Milwaukee Bucks in November. The guard is attempting to have a second go-round with the Sixers. The Bucks traded him to Philadelphia on Feb. 18, 2010. He finished that season and played the next two in Philadelphia. Meeks, 31, has also had stops with the Los Angeles Lakers, Detroit Pistons, Orlando Magic, and Washington Wizards. He averaged 9.3 points, 2.1 rebounds and 1.1 assists while shooting 41.8 percent – including 37.2 percent on three-pointers – in 531 regular-season games over nine seasons. Brewer has played in the NBA for 11 seasons. The 32-year-old finished last season with the Oklahoma City Thunder. The 6-foot-9 swingman averaged 8.9 points in 783 career games. Meanwhile, Rush, 33, has been out of the NBA since the 2016-17 season with the Minnesota Timberwolves. The swingman averaged 6.8 points and shot 40.2 percent on three-pointers in 481 games during his nine-year career. Artis went undrafted out of Pitt in 2017. However, the 26-year-old played in 15 games and averaged 5.1 points as a two-way player with the Magic last season. He’s averaging 16 points, 4.9 rebounds, 3.7 assists and shooting 33.9 percent with the Los Angeles Clippers' G-League affiliate.